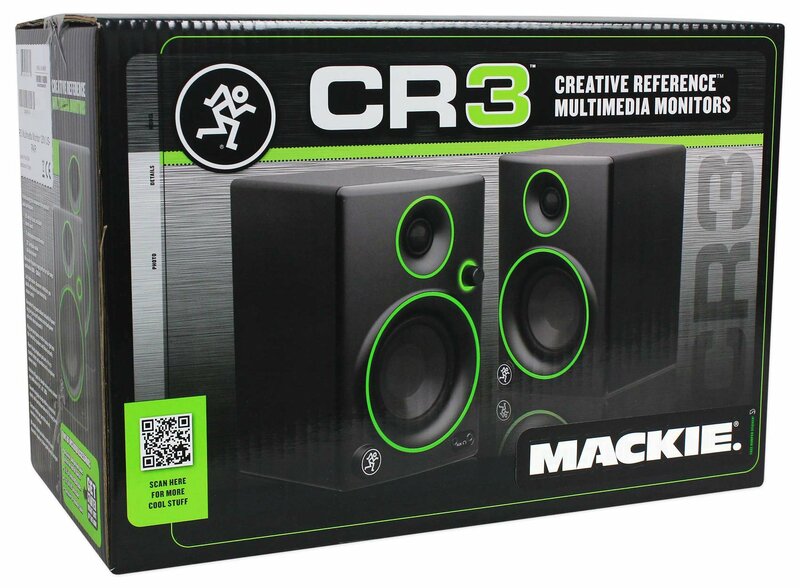 Mackie CR3 Pair of 3" Creative Reference Multimedia Monitors Speakers. Studio-quality design, sound and performance, ideal for multimedia creation and entertainment . Professional-grade components for optimized sonic performance . 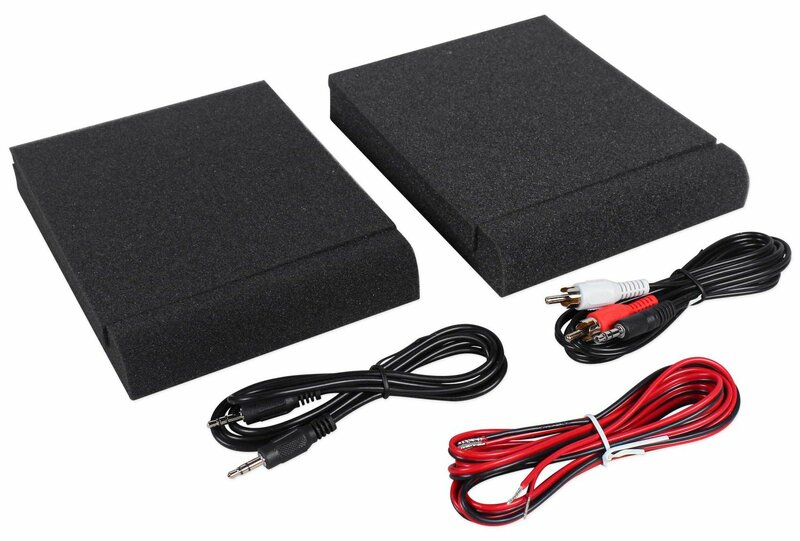 50 watts of clean, articulate stereo sound . 3" Polypropylene-coated woofer . .75" Ferrofluid-cooled silk-dome tweeter . Ultra-wide frequency range, perfect for full-range multimedia . 80 Hz - 20 kHz . 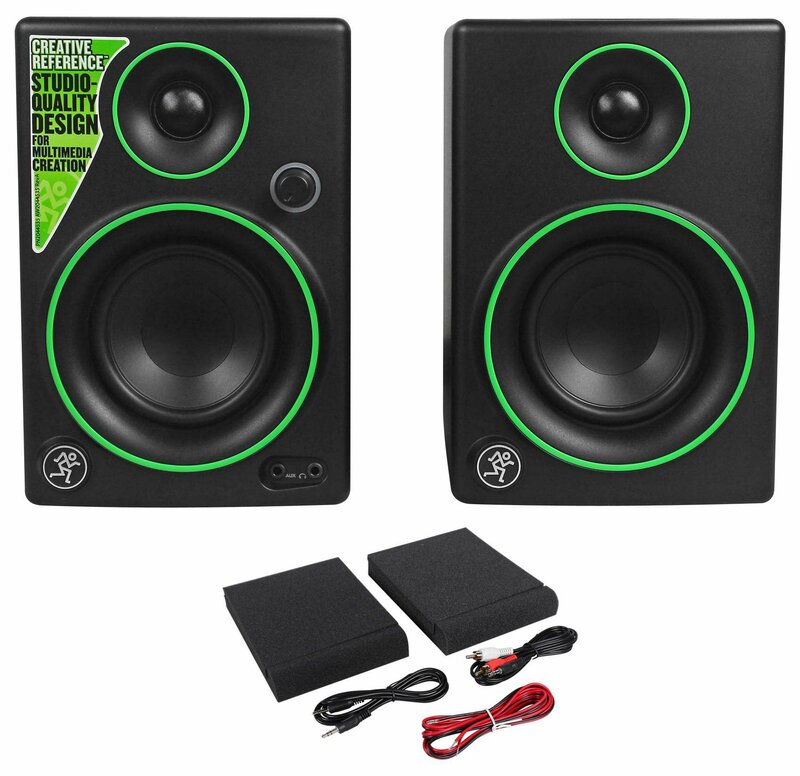 Choose which side of the desk gets the volume knob with the convenient speaker placement switch . 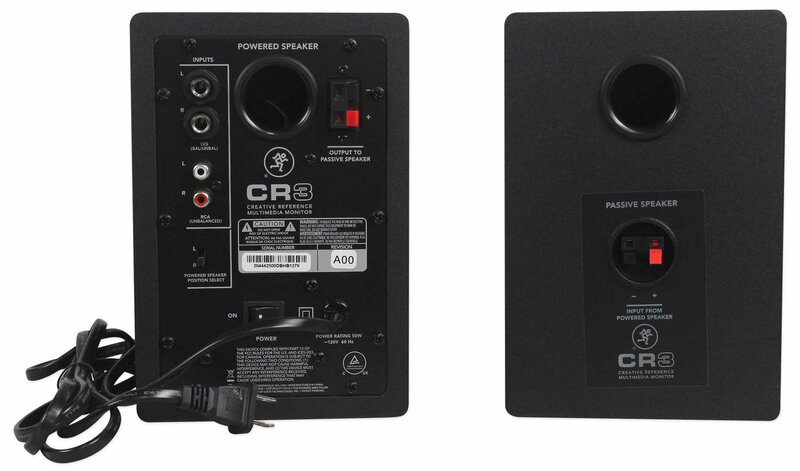 Convenient front panel volume knob with lit power ring gives you on/off/volume control and power indication . where you need it . Plug your smart phone (or other source) right into the front of the speakers and listen instantly . Front-facing headphone jack auto-defeats speaker output and provides tactile headphone volume control .